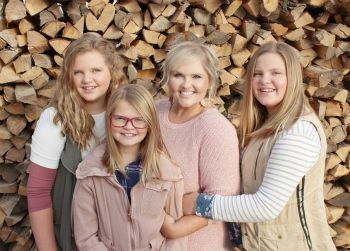 I can't believe that my babies are 11! It's so exciting and so sad all at once. They're growing up really fast, and have officially passed me up in the height department!😂Not that that's hard when you're only 5ft 3in. 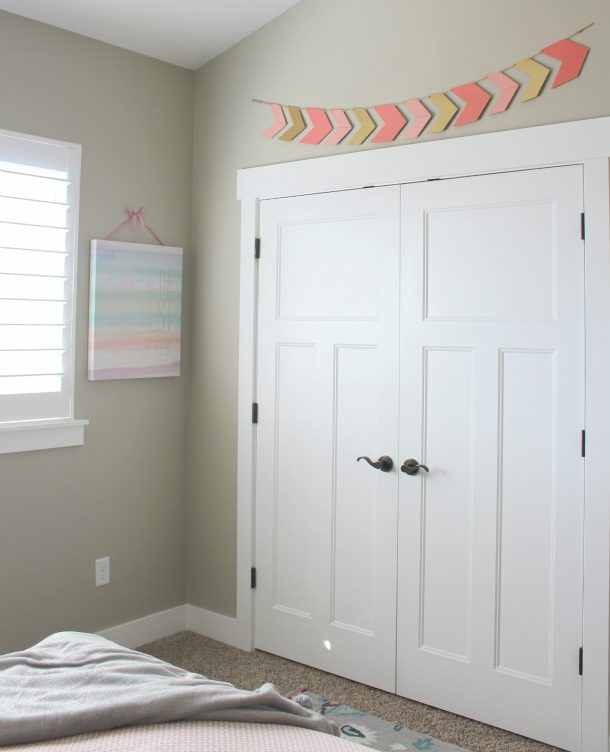 This past Christmas Emberly (twin on the right) asked for lots of room makeover items, so that she could have a "grown up girl room" that she loved. I was really excited, because you KNOW I'm all over any present that revolves around decorating! A few weekends ago we finally found some time to actually put everything together... and I had to share some of the adorableness! 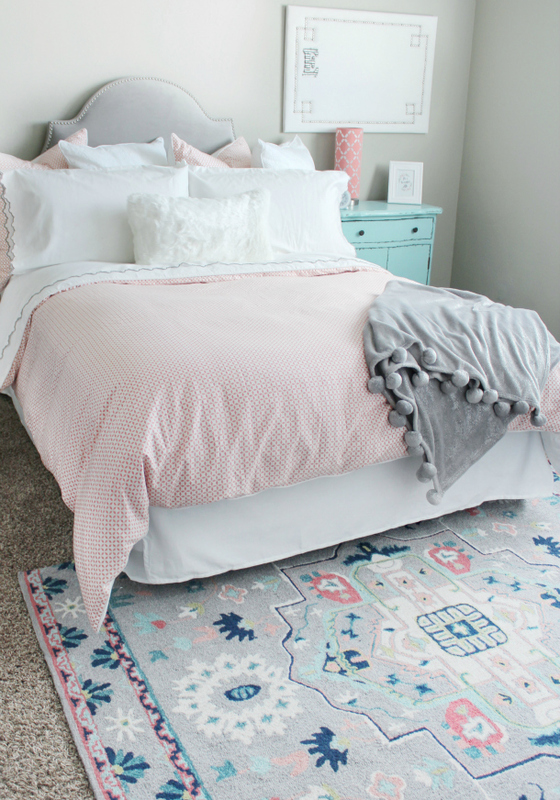 If you haven't heard of Crane & Canopy, they are a premium online bedding brand that offers super silky soft bedding and sheets, without the bigger department store markup prices. 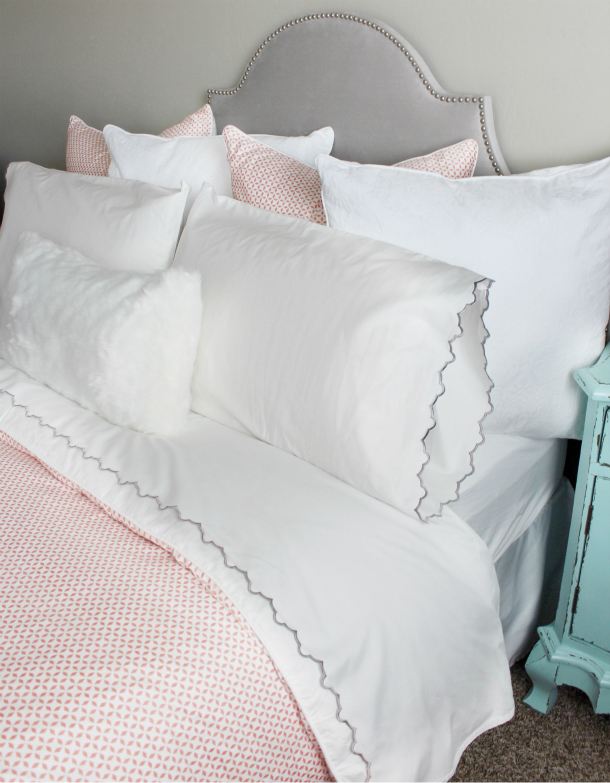 I kid you not, these embroidered grey sheets and pillow cases are not only ADORABLE and so feminine, but they're incredibly buttery soft too! 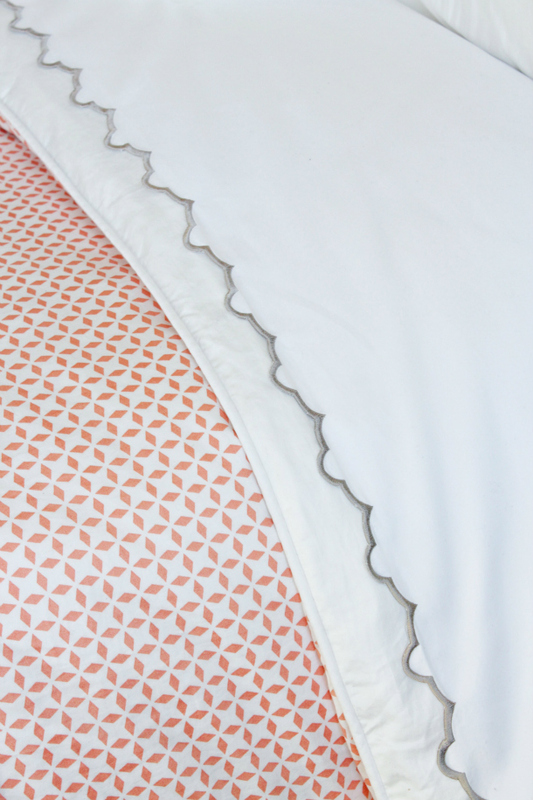 And the Ellis Coral Bedding is actually a reversible duvet cover, with a hidden zipper closure and ribbons inside the corners to keep everything in place. GENUIS! Oh, and the white piping along the edges of both the duvet cover and shams, gives everything that polished, clean style I love. 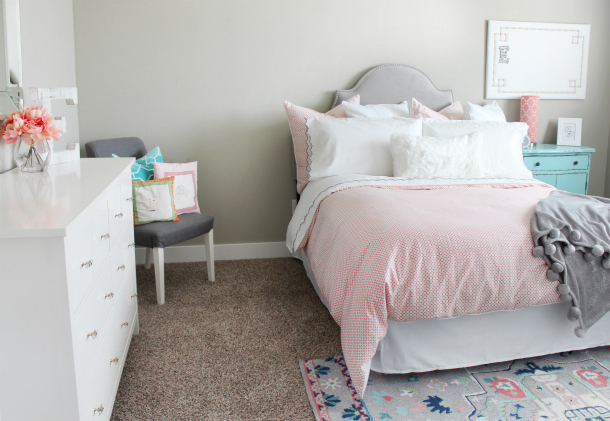 We played off of the pretty coral color in the bedding and added a vase full of pink florals we found at Home Goods, a modern coral colored lamp from Hobby Lobby, and a colorful piece of art! 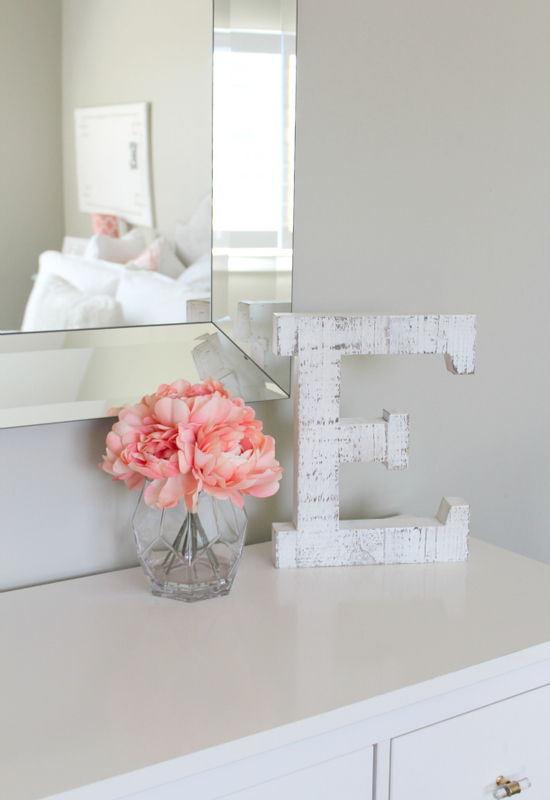 I found this large "E" at Hobby Lobby as well, for 50% off! Something I adore about Emberly is that she's so proud of her creations and she loves to display them. A couple of her proudest achievements have been these adorable pillows. 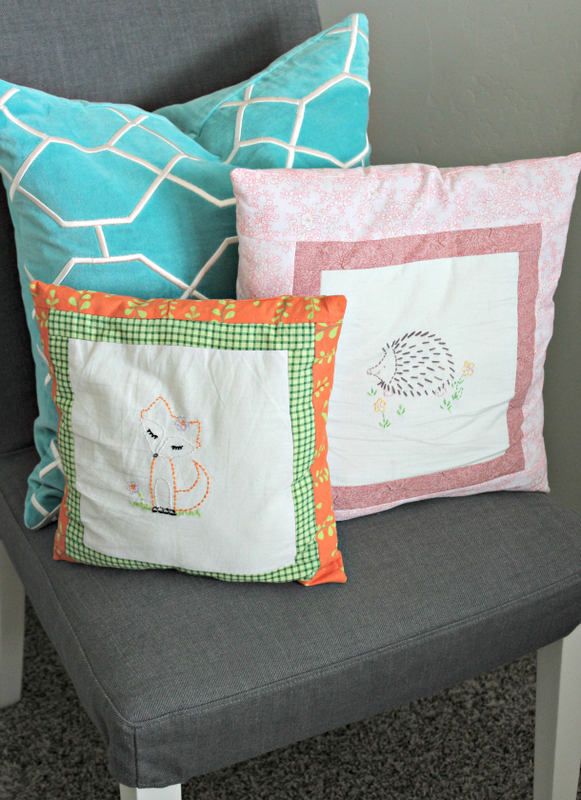 She hand stitched these little critters and then sewed them into pillows with her Grandma Smith. 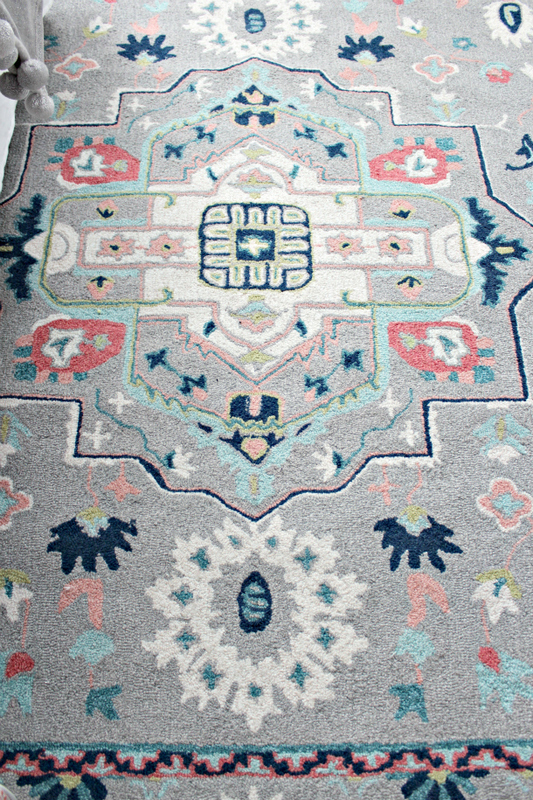 For those of you who know me at all... you've already gathered that I'm completely rug obsessed. Oh, and that I purchases about 99.9% of my rugs from RugsUSA. Literally CANNOT beat their prices. And I am smitten by this beauty! 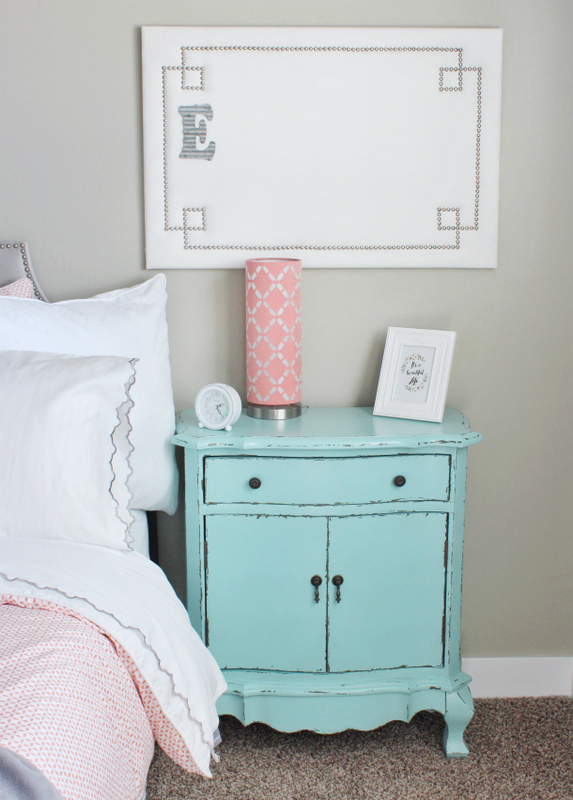 All the vibrant, yet perfectly pastel colors are exactly what this room needed to tie everything together. Fergana UZB72 Hand Hooked Imperial Medallion Floral Rug in gray. We would love to have some pretty moulding up on the wall someday soon as well. Maybe just running behind the bed, to give the room some more character! 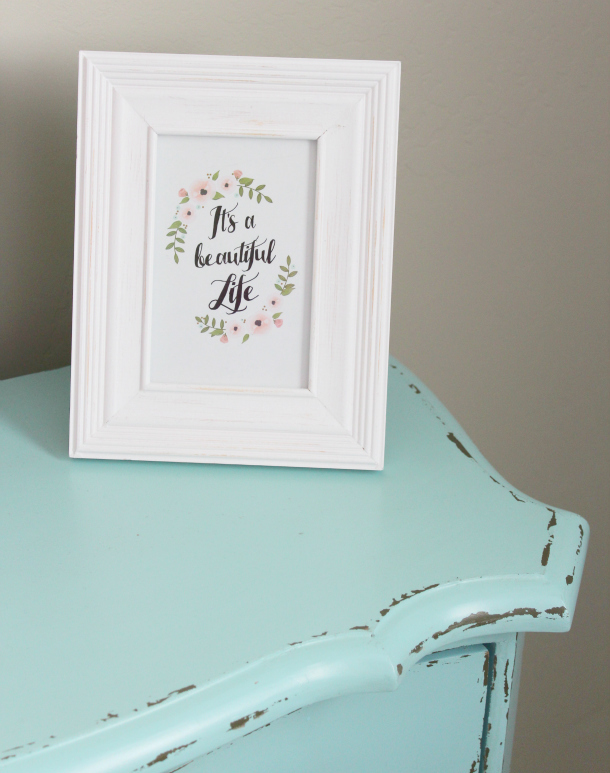 But for now, we wanted to share all the fun decor ideas, so you could see what we've been working on! This is a bedroom my teenage dreams were made of! Absolutely beautiful! Thank you for your thoughts on the Crane & Canopy bedding. I've been eyeballing a duvet cover from them for a long time and never have bitten the bullet. Where did you buy the duvet insert? I've never owned a duvet so I'm curious if all inserts are equal. 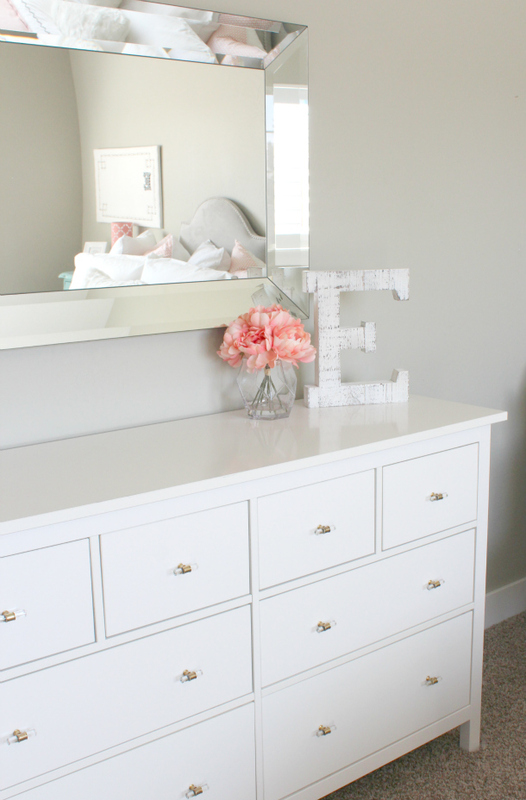 Thanks for sharing this stylish and lovely room! 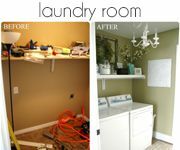 I love how the room turned out! It's fun to see you sharing your home again. 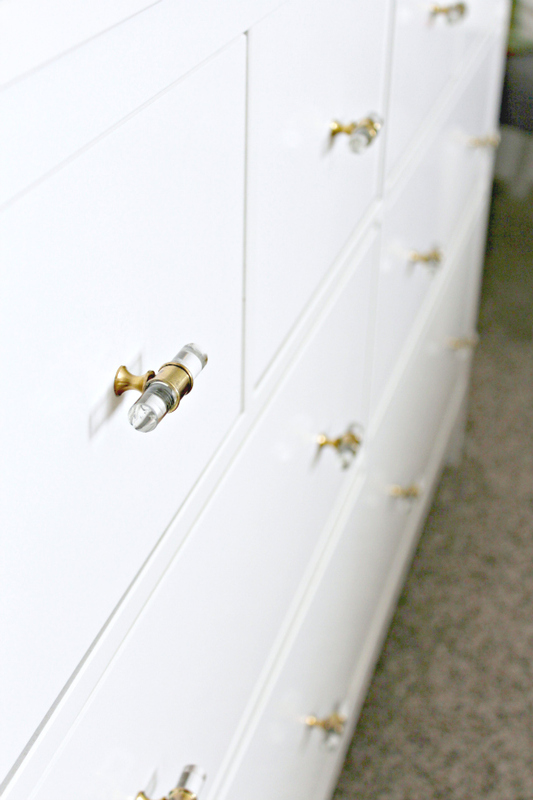 You're blog has always been one of my favorites and I love to see how you decorate your home. I would love to see more! Very cute! I love all the sweet details. 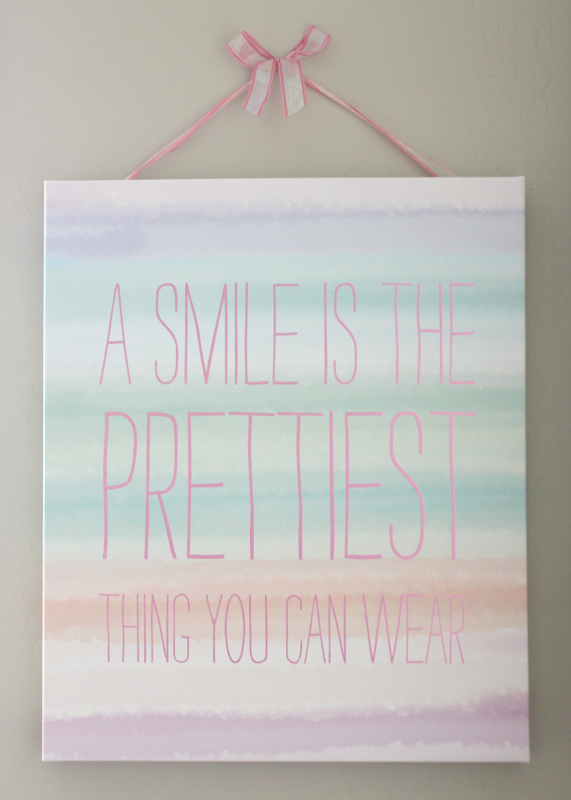 I absolutely love everything! 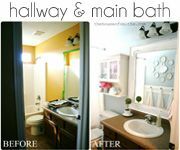 Thank you so much for sharing; I have also always loved seeing how you decorate your home!!! 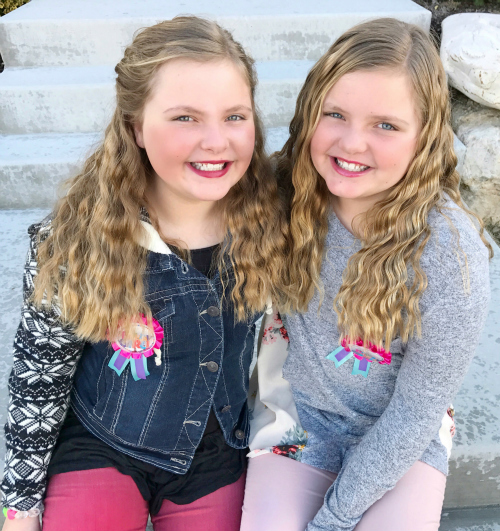 I have 3 girls (9,7 &3) so I especially love your girly decorating tips/style! We've literally just moved back "home"...into our first house where we had our first 2 daughters. My husband had changed jobs, but we wanted to keep our first home so we decided to rent it out instead of selling and boy am I so glad we did! 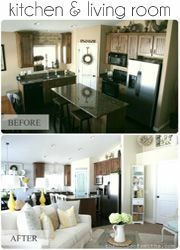 We are going to have so much fun decorating and looking back at all of your home decorating posts!!! 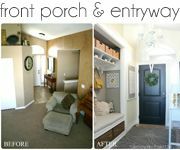 LOVE LOVE LOVE all of your projects/renovations and decor style & the way you and your husband work together to create the vision you have in your head! Everything always turns out so beautiful!!! You need to know how much you have to spend and how much each item costs. No point in buying that wonderful four poster bed you've always wanted then being unable to afford the right bedding to make it look great. This is a dream bedroom for a teen or preteen. The twins are adorable(they probably think they are too old to be adorable but to mothers and grandmothers they are). Love when you post. Oh this room is darling! I would have loves this as a young girl / teen! You guys make a great team when it comes to design & style!